School council - Every Autumn we have an election for School Councillors. Candidates present their election manifesto to the rest of their class. The process is explained to the children through assemblies and class discussions, and is linked to the British voting system, so includes a secret ballot. The children love this process and have great respect for the outcomes. The school council representatives (2 per class) meet every 2-3 weeks then take the ideas from the meetings back to their classes for discussion. A noticeboard displays photographs of the School Councillors and minutes of their meetings. School Clubs – a variety of clubs are provided at Bure Valley School. More recently, these have directly reflected the preferences of the children e.g. Gymnastics Club. A number of children have shown an interest in running a club; there is a rota of child-led clubs which occur every day at lunchtime. Pupil Questionnaire - All children complete an annual questionnaire, which provides them with the opportunity to share their views of learning and suggest ways in which the school could be improved further. Key findings from these surveys are shared with the wider community. Governor involvement - during Governor Learning Walks, the Governors talk regularly to children to establish their views as a way of ensuring that school self-evaluation is robust and accurate, and therefore effective in moving the school forward. A rigorous Behaviour Policy – this is implemented fairly and consistently. Children are taught the value and reasons behind laws, that they govern and protect us, the responsibilities that this involves and the consequences when laws are broken. Detailed, accurate records of behaviour within school are maintained and used when communicating with parents. School rules, rewards and sanctions – these are referred to regularly and consistently. Adults have extremely high expectations and model the desired behaviour on a daily basis. PSHE lessons – at Bure Valley School we follow the DfE ‘SEAL’ curriculum (Social & Emotional Aspects of Learning). There is a different theme for each half term that the whole school follows. This is reinforced in whole-school assemblies (including those delivered by regular outside speakers, such as the local vicar), weekly mixed-age ‘Circle Time’ assemblies. in class PSHE lessons and more informally, as opportunities arise around school. Visiting speakers - visits from external speakers, such as the Police, help reinforce this message. Within school, children are actively encouraged to make decisions and choices, knowing that they are in a safe and supportive environment. As a school we educate and provide boundaries for young children to take risks and make choices safely. Children are encouraged to know, understand and exercise their rights and personal freedoms and are supported in exercising these safely, for example through our E-Safety and PSHE lessons. Mutual respect is at the heart of our values (‘Care, Creativity, Challenge’). Children learn that their behaviours have an effect on their own rights and those of others in the following ways. High expectations of behaviour modelled by all adults in school. Unacceptable behaviours are not tolerated. They are challenged, discussed with children and appropriate consequences given, where necessary. Inappropriate behaviour (including disrespectful and racist incidents) is recorded appropriately. Children are praised and rewarded for displaying respect for others, including through ‘Star of the Week’ assemblies. Curriculum - Our curriculum promotes respect, tolerance and diversity. Children are encouraged to express themselves through discussions, debates and consultations. The RE (Religious Education), PSHE (Personal, Social and Health Education), Citizenship and SMSC (Spiritual, Moral, Social and Cultural) provision is embedded across the curriculum through the use of the Norfolk Agreed RE Syllabus and DfE ‘SEAL’ curriculum. Across the Key Stage, children explore a number of world faiths (Judaism, Sikhism, Hinduism, Buddhism and Islam), alongside their learning about Christianity. Other opportunities are provided to learn about different cultures and beliefs, for example, through stories read aloud, the choice of texts used in lessons, internet research, role play, art and music. Children are also taught about how to stay safe when using the internet. Assemblies – whole-school and ‘Circle Time’ assemblies. These are regularly planned to address this issue either directly or through the inclusion of stories and celebrations from a variety of faiths and cultures. Visiting speakers – to enrich the curriculum and widen the children’s learning opportunities. Community Events - children participate in local community events e.g. the community Carol Service, so that they appreciate and value their neighbours and friends who may not share their faith background. ‘Radicalisation’ is defined as the act or process of making a person more radical or favouring of extreme or fundamental changes in political, economic or social conditions, institutions or habits of the mind. ‘Extremism’ is defined as the holding of extreme political or religious views. The Governing Body of Bure Valley School has a zero tolerance approach to extremist behaviour for all school community members. We rely on our strong values to steer our work and ensure the pastoral care of our children protects them from exposure to negative influences.  Bure Valley School is fully committed to safeguarding and promoting the welfare of all its children. As a school we recognise that safeguarding against radicalisation is no different from safeguarding against any other vulnerability. Staff have received specific training in ‘PREVENT’, the Government’s response to help counter extreme ideologies. All staff are expected to uphold and promote the fundamental principles of British values, including democracy, the rule of law, individual liberty and mutual respect, and tolerance of those with different faiths and beliefs. Although serious incidents involving radicalisation have not occurred at Bure Valley School to date, it is important for us to be constantly vigilant and remain fully informed about the issues which affect the region in which we teach. Staff are reminded to suspend any professional disbelief that instances of radicalisation ‘could not happen here’ and to refer any concerns through the Child Protection/ Safeguarding Lead Teachers. At Bure Valley School we will actively challenge children, staff, parents or visitors expressing opinions contrary to fundamental British Values, including those expressing ‘extremist’ views.